American Idol judges Katy Perry, Lionel Richie and Luke Bryan made some major cuts, 77 contestants down to only 50, through the completion of Hollywood Week's second Solo Round. When Hollywood Week commenced, 169 aspiring singers entered the boot camp-like experience in the hopes of becoming one of American Idol's Top 24 artists. For the second Solo Round, the 77 remaining contestants had to perform for the judges again, but this time, they had a live band behind them for the first time in this competition. After performing, the contestants had to wait until the end of the day to hear whether they had made the cut. The judges made this announcement by dividing the hopefuls into three rooms, and two of the rooms -- consisting of 50 individuals overall -- advanced to the next round, meaning a room filled with 27 people got eliminated. In the next round, the remaining singers must perform for a live audience before the judges' "Final Judgment," which will determine Season 16's Top 24 artists. 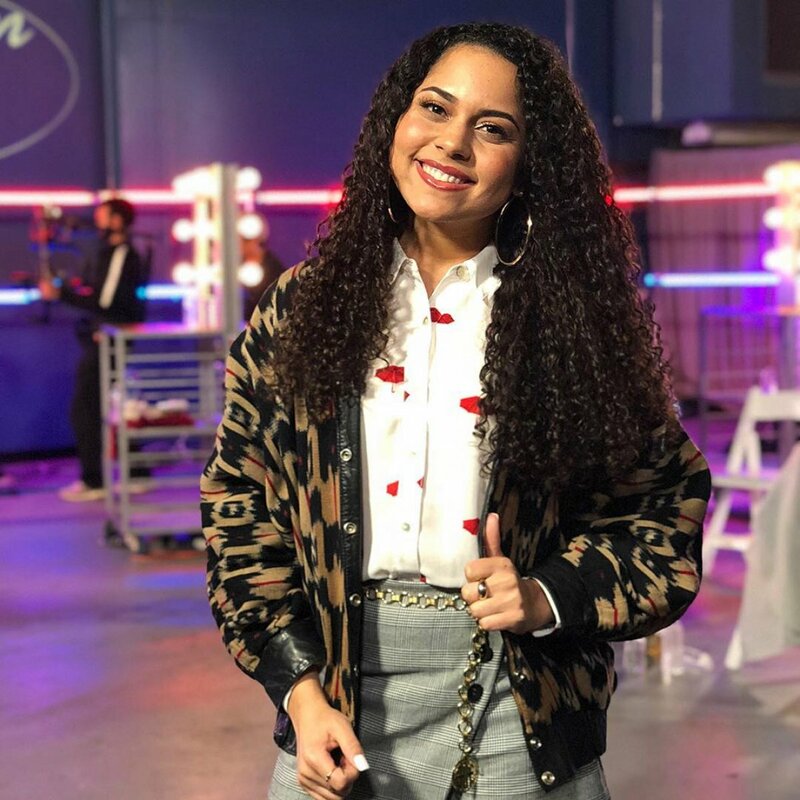 People shown surviving the second Solo Round of Hollywood Week were Jurnee Weathers, an 18-year-old hostess from Denver, CO; Ron Bultongez, a 21-year-old entrepreneur originally from Congo who currently resides in Plano, TX; Dominique, a 26-year-old legal secretary from Birmingham, AL; Harper Grace, a 16-year-old high school student from McKinney, TX; and Trevor Holmes, a 27-year-old construction worker from Thousand Oaks, CA. Christina Jones, an 18-year-old high school student from O'Fallon, IL; Amalia Watty, a 28-year-old babysitter from Brooklyn, NY; Michael J. Woodard, a 20-year-old bowling alley attendant from Philadelphia, PA; Catie Turner, a 17-year-old high school student from Langhorne, PA; Dennis Lorenzo, a 26-year-old singer from Philadelphia, PA; Cade Foehner, a 21-year-old college student from Shelbyville, TX; and Marcio Donaldson, a 28-year-old server from Compton, CA, also got through. More contestants shown advancing were Maddie Poppe, a 20-year-old college student from Clarksville, IA; Ada Vox -- previously auditioned for American Idol back in Season 12 as Adam Sanders; Jonny Brenns, an 18-year-old college student from St. Augustine, FL; Mara Justine, a 15-year-old high school student from Galloway, NJ; and Laine Hardy, a 17-year-old high school student from Livingston, LA. The following hopefuls also received good news from Katy, Lionel and Luke: Gabby Barrett; Kay Kay; Layla Spring, a 16 high school student from Marion County, KY; Alyssa Raghu, a 15-year-old high school student from Orlando, FL; Britney Holmes, a 28-year-old vocal coach from Frisco, TX; Effie Passero, a 26-year-old assistant property manager from Modesto, CA; and Thaddeus, a 25-year-old pub server from Oklahoma City, OK.
Several of the soloists had standout performances that resulted in a standing ovation from Katy, Lionel and Luke. The contestants who wowed the judging panel were Cade, Catie, Thaddeus and Michael. Harper, Maddie and Catie sang original songs, which was a big risk. However, their choice of song paid off and gave them a little edge in the competition. Britney also impressed with her rendition of "Dive" by Ed Sheeran. Some standout contestants who unfortunately did not make the cut and were shown being ousted from American Idol were Deonte Baker, Gabbii Jones, Crystal Alicea, Brandon Elder, and Genavieve Linkowski. During the next April 2 broadcast of American Idol, the contestants will perform in a "Showcase" and prepare for the "Final Judgment."